Thanksgiving is the time of year when we reflect with gratitude on the people who make our lives better. It's also a wonderful time to reach out to those people to say "thank you." While an ordinary "thank you" note is always appreciated, poems, verses, cards, and special greetings can be even more meaningful. Before getting started, think about the person or people to whom you're writing. Do you share a love of nature? Are they poetry lovers? Or are they easily brought to tears by a homemade card? You'll want to customize your thanks to the individual, doing your best to really touch their heart. As you read through this list of possibilities, keep the person you're writing to in mind. Remember that you're trying to please another person, and not yourself! You can always, of course, mix and match ideas. 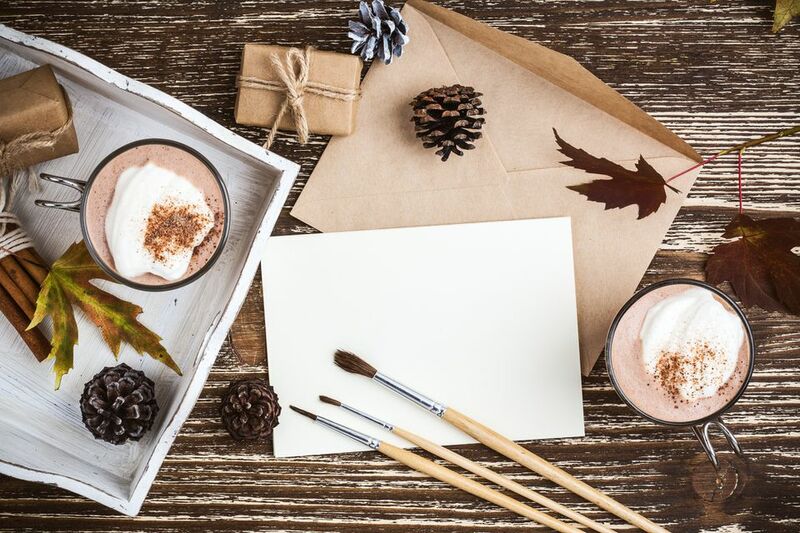 Traditional Thanksgiving "thank you" cards with a few simple words such as "thank you for being you," or "thanks for all you do" may be just enough for the person you're thanking. Classic poems or lyrics that communicate the idea of gratitude can be wonderful, especially if they have a special association with the poem or song. If the person you're writing to has a favorite author, a quotation can be very meaningful. You may also want to quote from beloved sources such as the Bible or Shakespeare. Jokes and funny poems may be ideal for someone who cares deeply but isn't especially sentimental. Puzzles and jokes are a great way to say "thank you" to someone with whom you share a love of games. They can also be a great way to reach out to a child (or even an older adult). Short stories (original or from a great writer) can often express thoughts and sentiments in a way no card could ever achieve. Lists are sometimes a great way to show another person that they've touched you in many ways. You can get clever with lists by using the first letters in their name to start each line of the list. You can even turn a list into a poem! (with or without rhymes). Here is a list of many types of poems and verses that are suitable for Thanksgiving projects. These include contemporary, traditional and original works. Thanksgiving quotes can be a great addition to a Thanksgiving project. These range from thought-provoking quotes through to insightful one-liners. A Thanksgiving short story can make a great addition to a project. A short story could be included in a handmade Thanksgiving card or could even be printed out and used as a backing paper for a project. No matter how you express your sentiments, be sure they're genuine and from the heart. Your choice of words and images will never be as important as your true gratitude.